People who need to manage a Hinckley & Rugby Building Society account for someone else as a result of that person’s lack of physical or mental capacity are supported by a guidance framework that has been issued to all banks and building societies in the UK. The objective of the framework is for carers and relatives to have a better and more consistent experience, reducing their burden at what can be a very difficult time. Arranging to run an account on behalf of a loved one is a challenge faced by thousands of people every year. According to the Office of Public Guardian (OPG), up to July 2016, 1.4m Lasting Powers of Attorney were registered in the UK to manage property and affairs, which includes the management of financial matters. 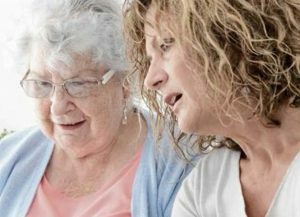 The Alzheimer’s Society believes that there are currently around 850,000 people in the UK suffering from dementia, with this number forecast to rise to more than a million by 2025. Recognising that more needed to be done in this complex area, the guidance framework was jointly developed by the OPG, the British Bankers Association (BBA) and the Building Societies Association (BSA), working in collaboration with the Law Society, Alzheimer’s Society, Solicitors for the Elderly and Age UK. The framework gives banks and building societies a consistent approach to apply to policy and process in support of third party mandate holders. Click here to view the Society’s information leaflet ‘Managing a savings account for another person’. This guidance applies to England and Wales only. Would you like further information on our range of savings products?